The Social Media channel is very misunderstood. Businesses and brands alike are all jumping on the social media bandwagon – with little understanding of how it works and how to really leverage their efforts. Couple this with the fact that Social Media is increasingly becoming the most important qualifier for back links and search engine optimization efforts. It’s important for businesses and brands to understand this channel. 2) Don’t just do it: Establish your definition of success before you start. I wouldn’t classify Social Media as a new channel anymore, it is now an emerging channel. And regardless of how you perceive it, it’s still a marketing channel. Like all things in marketing, in order for an initiative to be successful, you need to define what success means. Setting goals, articulating what’s important and why it’s necessary is key. Is it followers? Subscribers? Ranking? Engagement? Retweets? Entrants in a contest? Whatever it is – define it or you may be misplacing your energy and effort. 3) Do have a plan… please! : With so many Social Media outlets making their mark in the channel, it’s a real challenge to keep up with the latest and greatest. Even with the proven, tried and tested sites like YouTube, Facebook, Pinterest, LinkedIn, Instagram (the list goes on and on! ), it’s hard to keep up. A handy piece of marketing advise that I always adhere to: If you can’t afford to do everything, pick one thing that will garner your brand or business the most return and do that initiative very well. 4) Don’t underestimate what’s involved: You can’t just fit Social Media in! It isn’t a part-time proposition or an additional task for an existing employee – chances are that role is already maxed out. This is a marketing channel that takes a dedicated, consistent approach. You need to add value, contribute, comment and engage. It doesn’t just happen. It takes research, understanding of messaging and proper brand tone and voice. It’s not just about knowing the platforms, it’s about integrating them and working them. If you want to build a community, you need to be social. It isn’t good enough to just say follow me!… you need to build a solid foundation. 5) Do your homework: Niche is where it’s at! Marketing has always been about segmenting and carving out marketing profiles of targets. Until recently, segmenting (or nicheing as I term it) was cumbersome and sometimes expensive. The beauty of Social Media and it’s digital channels is that it allows you to segment down to a minutia difference in characteristics. It can be as local or as global as you need it to be. And if there’s a defining characteristic of a target, believe me, there’s a group, a page, or a forum out there that is a perfect fit. And it there isn’t… well, isn’t that a wonderful opportunity! All this to say, businesses and brands alike should get out there and get social with mindfulness and intention. I’d be interested to hear your comments on the dos and don’ts of Social Media. Please share! Want to know more about social media? Download Social Media Understood here. Excellent Article . A unique one as I have not seen people addressing the issues faced in deployment of Social Media by business entities as a marketing channel. Since it is a low cost marketing tool and easy to reach prospective customers in a short time span business institutions are increasingly laying their hands on it without a proper marketing strategy ……. the dos and don’ts are a perfect well timed reminder / alert for taking a breather and allowing discretion and rationale for effective deployment of Social Media as a marketing channel. Businesses deploying it must consider that it is easy to get the positive customer opinions and comments spread around on a fast track ….the same speed is applicable for negative ones as well …the multiplier impact works both ways . The fact most of the Social Media outlets are interlinked it is considered as a mass marketing channel ……… an increasing use of it without sound marketing strategy or rational could be counter productive . Well said Syed! Check out another post Social Media: A Reality Check! 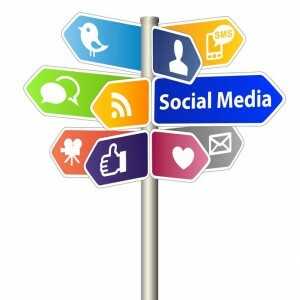 (http://www.3h.ca/blog/business-success/social-media-reality-check/) This post speaks to the misconceptions about Social Media especially as it pertains to Brands and Businesses.